Robert F. Dorr, "B-29 Superfortress Units of World War 2", p. 38. Standing - Left to Right: ___ (_), ___ (_), ___ (_), ___ (_), ___ (_), ___ (_). Kneeling - Left to Right: Maj James F. "Jim" Sapp (A/C), 1/Lt Peter D. Summer (Pilot), __ (_), ___ (_), ___ (_). 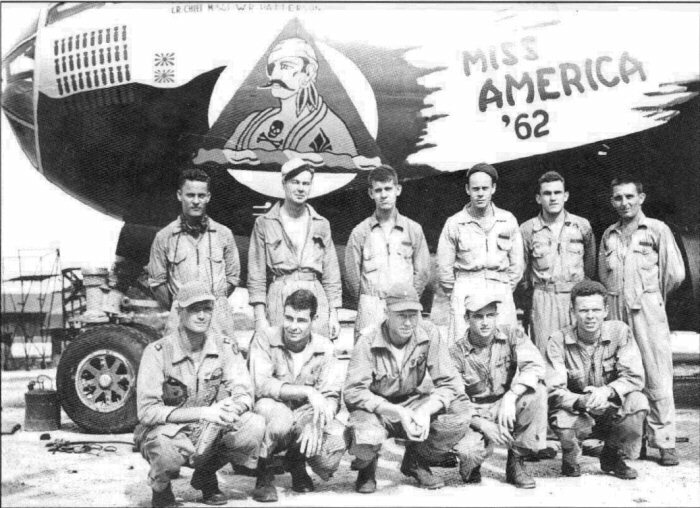 This crew flew "Miss America '62".